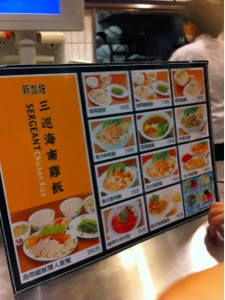 At Hankyu Department Store (統一阪急百貨台北店), you will find a nice food court at the basement level. 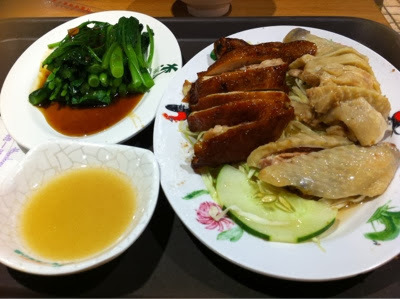 There is a wide variety of food ranging from Chinese, desserts and other food selections. We ordered a meal set for two that comprise of a half chicken, vegetable and rice. 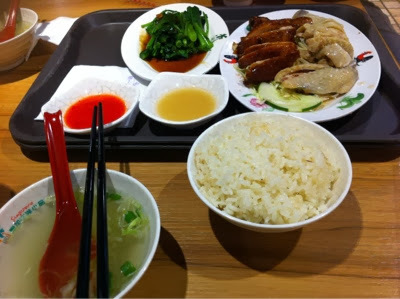 As it was a local brand, we were excited to eat the chicken rice. However, we were disappointed with the quality.